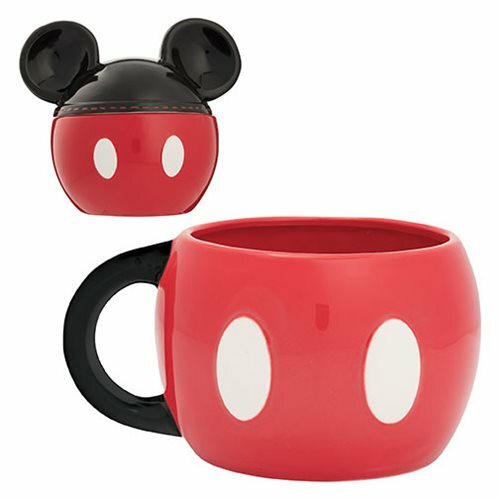 Not only do Mickey's shorts keep him warm, you can also use them to drink out of. The Mickey Mouse 20 oz. Sculpted Ceramic Mug is custom sculpted, functional and made with high-quality ceramic for a unique collectible that is sure to delight fans of all ages. Great for everyday use, showcasing or gift-giving. Measure roughly 3-inches tall. Comes in a color gift box. Hand wash only. Not dishwasher safe..